It could be said that the film that elevated Dreamworks Animation from playing second-erhu to Pixar was 2008’s KUNG FU PANDA. Leaving behind the shallow humor of efforts like Out of Season and Madagascar, KUNG FU PANDA delivered a solid story, with compelling characters, top rate voice actors, and stunning visuals. And then there was HANS ZIMMER and JOHN POWELL’s epic score, which was ripe with both top-drawer action cues and emotionally memorable themes. 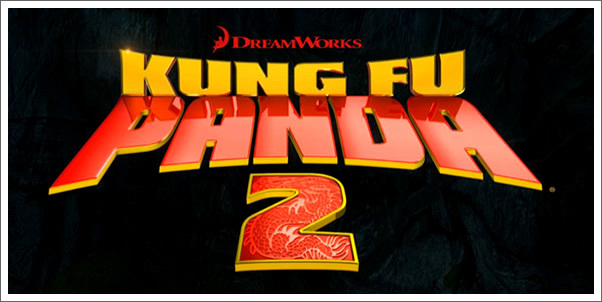 With the success of the first film, there was immediate talk of a sequel and three years later KUNG FU PANDA 2 made its debut. Now that Panda Po has reached new status among his peers, The Furious Five, and under his master, Shifu, it’s not only time to up the ante with a host of new kung-fu-fightin-characters, but to delve into Po’s mysterious past. The original voice cast is back, but this time under the direction of Jennifer Yuh Nelson (who was a story-artist on the original). Best of all, at least from the film music perspective, both HANS ZIMMER and JOHN POWELL return to deliver more musique de pandemonium.